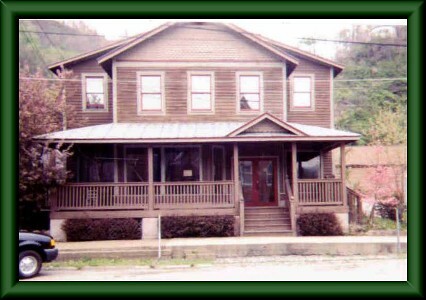 Welcome to the Historic Matewan House Bed & Breakfast. We are located in the historic little town of Matewan, West Virginia. Home of the Hatfield & McCoy Trail system here on Buffalo Mountain. Home to the Matewan Masacre (the shoot-out incident that started the union and the mine wars here is this state.) Last but not least, those infamous home of the feudin Hatfield’s and McCoy’s. Yes its true folks they were really here. Come and take the tour of their birth places and their murderous areas and visit their grave sites as well. Our Bed & Breakfast is just “down the street” from the trail entrance. Matewan is ATV friendly. And every morning that you stay with us you will indulge in an all-you-can-eat country breakfast. We have queen size beds and each room has a private bath. We promise you the cleanest rooms and the best prepared food anywhere. We also have a Bunk House and cabin rooms out back for group trail riders. We have special mountain riding rates for groups. Check us out! We provide you with a gated and locked in area for you atv’s and bikes. We have a wash down also. We will wash the muddy trail gear for you and have them ready for you the next morning. We have wireless internet and over 700 movies to watch on our big movie screen. No extra charge for all the amenities we have been offering for over 10 years. Ice, bottled water, sodas and homemade goodies and snacks for you enjoyment. Bottom line is, this is our home and while you stay here with us we want you to BE AT HOME. Need trail passes? I have them right here in the B&B . We have great porches to sit and visit on and a great little town to see.